Ever wonder when is the right time to buy your favourite brew? 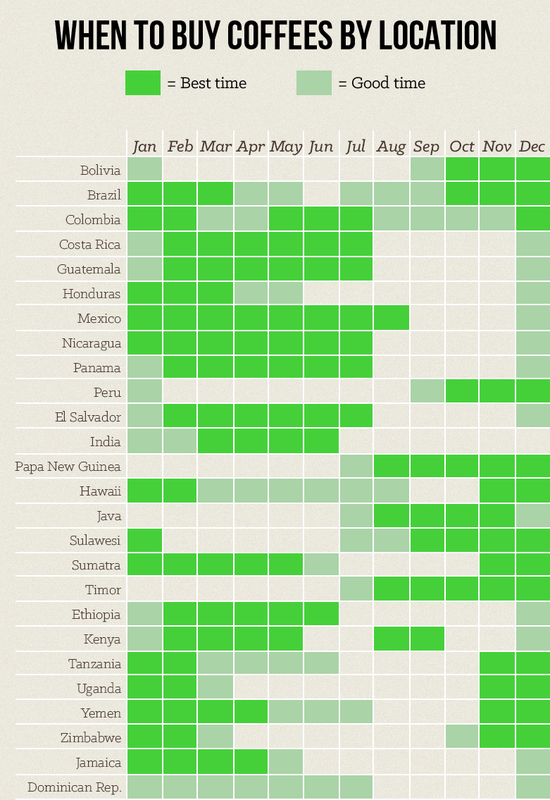 Check out this handy guide that details the best month to select your coffee from many places around the world. Next time you go to replenish your bean supply, take a glance & guarantee yourself the freshest, best bean. Click the image to print a copy for the fridge… you little bean lover! Previous Post Coffee & Sneakers?